"Hindi naman kami nakikipag-compete sa ibang liga, kundi ito ay ambag, tulong din sa pag-promote ng basketball dito sa Pilipinas," Pacquiao said. Blitz, this league will help promote basketball. This will open more opportunities to other players who will never be able to play in the PBA or Gilas..
Sen. Pacquiao is here to help other aspiring basketball players achieve their dreams.. Playing in a commercial league is already a good start for some young careers..
That's what I said, this is good for lowly Pinoy basketeers. It is what it is. No debate needed. Not all hall of famers started big.. Some started low until they achieved something great..
Just because one's career is in MPBL for now doesn't mean he won't be able to achieve great things in the future.. The league is just in its second season..
For now, players are mostly ex-pros or aspiring pros who were not signed by PBA teams.. Some players from NCAA, UAAP are also in the league..
LEO Avenido will be suiting up for one of the Maharlika Pilipinas Basketball League’s newest teams, the Zamboanga Valientes. 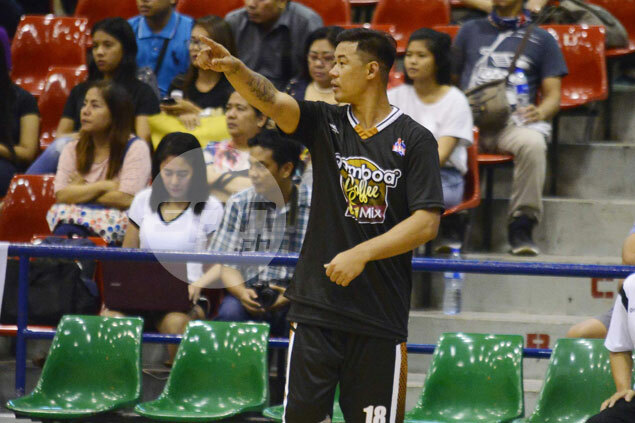 Team owner Yacub Ati confirmed to SPIN.ph that Avenido will be playing for the Valientes once he wraps up his stint in the Thailand professional league with the Bangkok Tiger Thunder. Avenido, 38, will join fellow ex-pros Reed Juntilla and Jonathan Parreno, Von Lanete, Grev Rublico, and Eric Miraflores in the Valientes lineup to be coached by Ednie Morones. Morones is still in the process of completing the roster. “Reed Juntilla will be the one to guide the young players from Zamboanga while Jonathan Parreno wants to prove he has more to show aside from his three-point shooting,” said Ati. Ati said the Zamboanguenos are excited to see their players get a chance to show their wares on a national stage. “Zamboanga is also in search of the next Mark Barroca and maybe this is the right time we can discover one,” said Ati. Ati also said the team is planning to hire former Asean Basketball League (ABL) head coach Raha Mortel and AMA head coach Mark Herrera as assistant coaches. Is my canniness too slowly for your liking? This league gives hundreds of Filipino's a job. From players r to choaches to water boy.